It is clear that FromSoftware knows its way around epic action games, and Sekiro: Shadows Die Twice provides plenty of combat action. 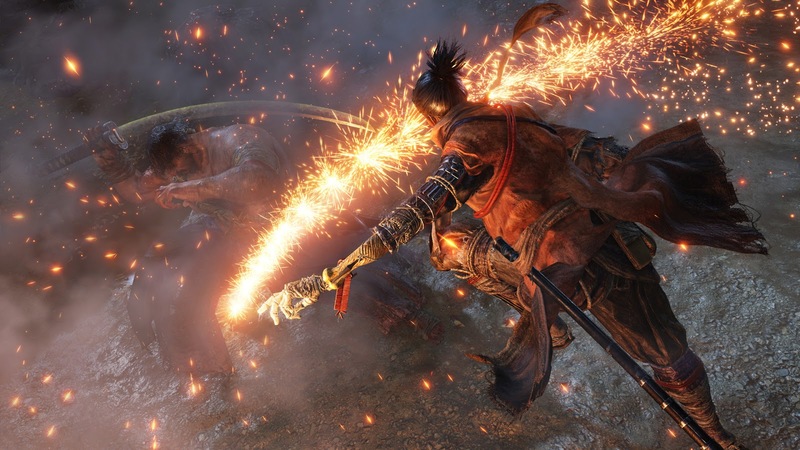 There are some similarities to FromSoftware's popular Souls series, but Sekiro also brings plenty of new elements to the table as well while carving out its own unique path along the way. Those simply looking for another Souls game may come away disappointed, but if you approach Sekiro with an open mind, you will come away as pleasantly surprised as I did. In terms of the similarities to the Souls series first; there are a few. For starters, you will die a lot more than twice. There is that same feeling of danger around every corner, as even a basic enemy can kill you if you get sloppy and fail to time your movements in combat properly. Level design is still deeply layered and interesting to explore, yet also working against you in the kind of devious way FromSoftware has become so well-known for by now. Epic boss battles still provide all of the highs and lows I have come to expect from this kind of game, frustrating me to no end with what initially feels like cheap, unfair deaths, but providing an exhilarating high after I finally figured my way to victory. Now, the differences. Perhaps most notably right off of the bat is the setting. For one, we get a fictional Sengoku Japan, which manages to feel both historical and yet, at the same time, a complete deviation into its own fantasy lore. This setting lends itself to a different aesthetic to what we've seen in FromSoftware's previous efforts, and the use of colour in Sekiro is really interesting in and of itself. Bloodborne, and the Souls titles themselves, are heavily drenched in shadows, with long stretches of darkness meant to tickle the imagination and make you wonder what is right around the upcoming corner or what enemy may be in wait just beyond the current range of your light source. This time around, so much of the design is drenched in colour to accent the visuals. Whether it's the use of crimson accents on armour to emphasis the value of red within Japanese culture, or the bright pink flowering petals falling from the sakura trees all help to set something distinctively Japanese in aesthetic. It's also a nice counterpoint to Koei Tecmo's rival title, Nioh, which was distinctively Japanese, but less of a colourful vision of it. The other notable difference to Sekiro: Shadows Die Twice is that this is a much more structured narrative. You are not creating a character but in fact taking on a sculpted protagonist, Wolf. 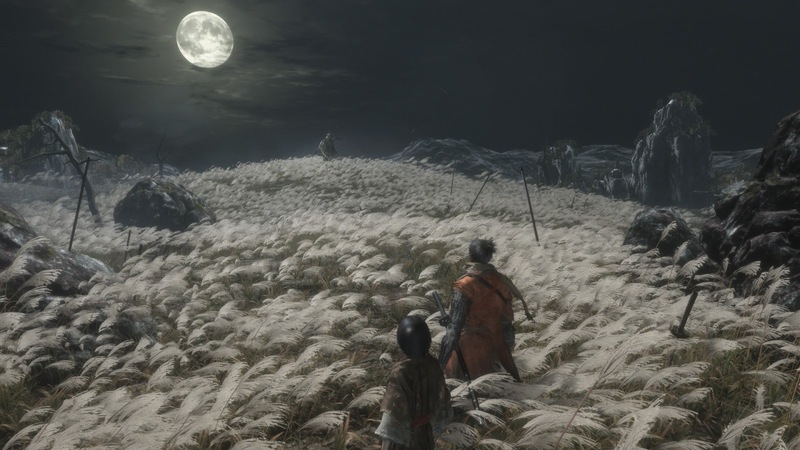 Instead of simply starting up in the middle of nowhere and left to figure things out on your own from the outset, Sekiro wants to immerse you in a more explicit story of battling clans and Wolf's desire to protect his young lord. Admittedly, I do not find Wolf to be the most interesting protagonist, and FromSoftware has historically struggled when the writers take responsibility for the storytelling, rather than leave players to piece things together on their own, but there's enough there to give you a world that you'll want to fully explore. In general the story here is far less ambiguous this time around, which I greatly appreciated in its own way. 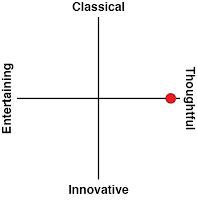 The drive towards a more explicit story also perhaps explains the lack of online features. In previous FromSoftware "souls-likes" there's been a limited form of multiplayer, which allows mute avatars of other players to "invade" your world to attack you, or alternatively to summon in to provide some help. 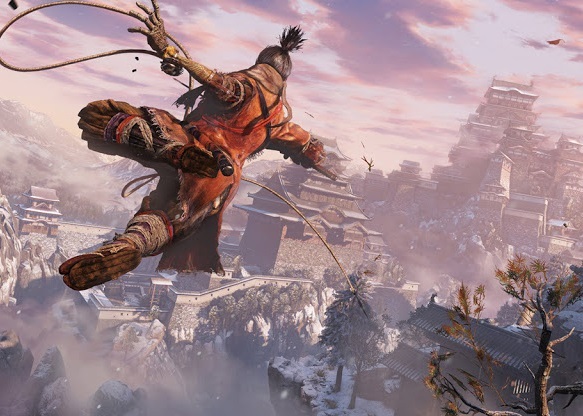 With Sekiro, this is an undiluted vision of Wolf's story, and has no room for introducing other stories to it. This alone will make the game much harder for many players, because it really is just you against the bosses. This also takes some of the unpredictability out of the game, as some of my most interesting, tense moments in Souls games involved another player trying to cut me down. On the other hand, because there is no online forcing the game world to be persistent, it's also possible to actually pause Sekiro. As someone who is frequently interrupted while playing, that is huge and something I greatly appreciate. Sekiro greatly benefits from Wolf's mobility as a ninja. Soon after starting out on his adventure, he ends up with a prosthetic arm that gives him a grappling hook on demand. He can press his back to a wall and shimmy along a narrow surface. He can do a wall jump and grab onto a platform or ledge just overhead, adding a verticality to the level design that really allowed the developers to get really creative, even if the path itself is a bit more linear FromSoftware's heritage would typically suggest. And, of course, there are all the stealth tools that you'd expect a ninja to have. If you ever needed proof that there's the historical context, setting, and character type that Ubisoft needs to get off its backside and locate an Assassin's Creed title in Japan, Sekiro is it. Combat is tactical, but fast and furious. The trick in mastering it is to isolate one opponent at a time wherever possible, and make good use of the parry-and-riposte technique. 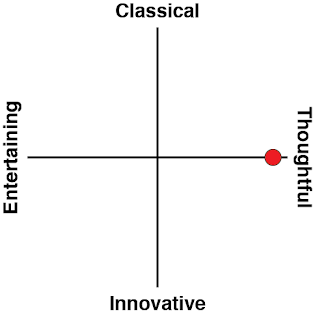 At first, the combat seemed a little shallow to me. For the first couple of opponents, you'll lock onto an enemy, time a good parry, lunge in and stab the guy. You'll feel good about your skills then. There is also a very limited capacity to upgrade your weapons and mix-and-match equipment. As someone who really likes RPGs, and went in expecting at least some kind of RPG mechanics, the scraping off of even most of the lightweight RPG elements did annoy me just a little. However, the further into Sekiro I got, the more I came to appreciate the variety in the combat, and its ability to make you scream in frustration. With no capacity to grind up experience levels and the like the game immediately forces you to be more active in pushing on through it. The upgrades that you do get all add to your tactical arsenal; for example, there's a firecracker that can use to scare off animal enemies or use it to deflect oncoming attacks. Combine this with various arts and special buff-granting items, and suddenly there are layers to success that encourage some experimentation, rather than just a reliance on the bonuses gained through a grind. This is especially true in boss battles where a single mistake can prove fatal... and you won't be able to beat those bosses simply by reducing their life, either. You'll need to stun them and then deliver a fatal killing blow... which again requires you to be strategic and master the parry-and-riposte system. Perhaps the most interesting or unique mechanic in the game is the way it handles death. There is a chance you will have the option of springing back to life when struck down, but each death has consequences, so you should still be avoiding death wherever possible. See, there's a rot, and that rot can infect the friendly characters in the land. The burden is not Wolf's alone, and the impact is more than just aesthetic, but can also impact the ability to get and close out certain quests along the way as well. This combined with the potential for multiple endings definitely gives Sekiro some interesting hooks and provides some nice replay value for those who master the games's mechanics and want to go back in for more. 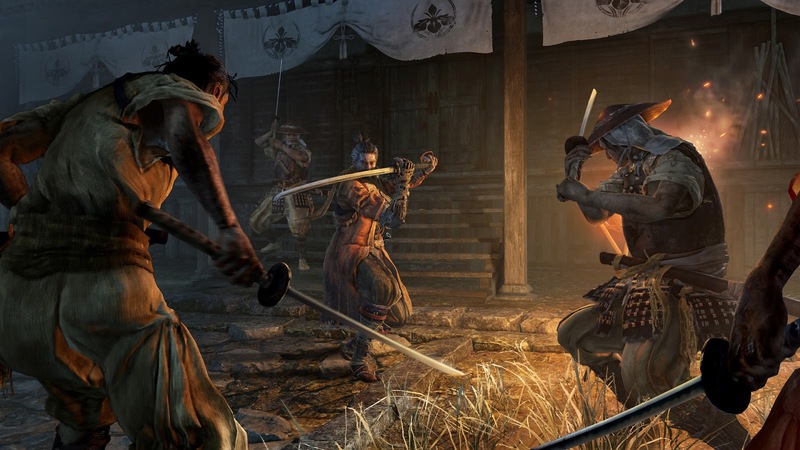 Many familiar From Software mechanics influence Sekiro: Shadows Die Twice, but this is absolutely a unique experience in and of itself thanks to that more focused storyline and level design, as well as the more thematically appropriate approach to combat. I enjoyed the more robust attention to telling a story and while this means that the levels are more structured, From Software deserves a great deal of credit for clever level design that makes great use of Wolf's prosthetic arm and his great sense of mobility. It will be interesting to see if Sekiro has the same longevity and rabid fan devotion as the Souls games, but I can fully appreciate From Software taking some chances and doing something quite different as well. Review code provided by Activision.